The Minnesota Department of Commerce just released a draft Environmental Impact Statement (EIS) on a proposed crude oil pipeline through northern Minnesota. The project, Enbridge Line 3, would run 337 miles from the North Dakota border to Duluth/Superior, including stretches through the Mississippi headwaters region and prime wild rice waters. The 1894-page document includes a short section on Environmental Justice. To its credit, it acknowledges the pipeline would infringe on Anishiaabe (Ojibwe) treaty rights and exacerbate historical trauma. But it lacks Native voices and is silent on some important questions. Disproportionate and adverse impacts would occur to American Indian populations in the vicinity of the proposed [Line 3] Project. A finding of “disproportionate and adverse impacts” does not preclude selection of any given alternative. This finding does, however, require detailed efforts to avoid, mitigate, minimize, rectify, reduce, or eliminate the impact associated with the construction of the Project or any alternatives. That’s an indirect way of saying Anishinaabe voices and treaty right don’t really matter — the project can proceed based on what non-Native people consider to be fair mitigation. Let’s take a hard look at the Environmental Justice chapter in the EIS. Comment: Glad they included this in the report, but it doesn’t go into any depth about what “historical trauma” really means: broken treaties, boarding schools, cultural assimilation and genocide. The question is: Will decisionmakers understand what historical trauma is, and give this issue the weight it deserves? Comment: This seems naive at best. Sexual exploitation of Native women is a huge piece of historical trauma. One could infer from the text that the authors talked to Enbridge about a possible solution, but not Native women. Native women need to have their voices reflected in this report. This project should not proceed if it means adding to the historical trauma and exploitation of Native women. Period. Enbridge calls its proposal the Line 3 Replacement Project, but that’s a misnomer. The current Line 3 is 50 years old and falling apart. Enbridge wants to abandon it in the ground and install a new and larger pipeline along a new route. Comment: Saying that treaty rights ” are important to the Indian tribes” is an odd turn of phrase. They are not just “important,” they are the law. 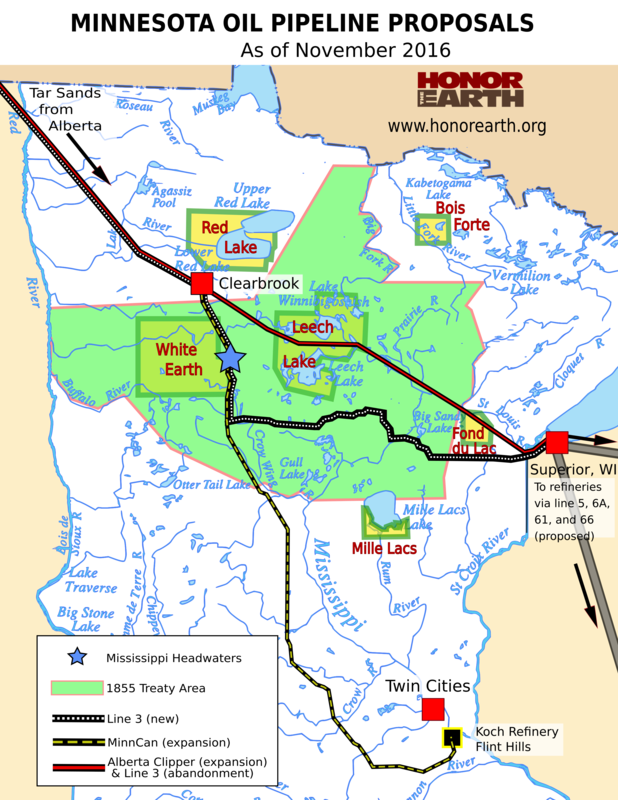 Neither the state of Minnesota nor Enbridge should be able to unilaterally break treaty rights simply by offering some form of mitigation they deem appropriate. We will address this issue in greater depth in another post. Comment: The draft EIS acknowledges this risk of “significant hardship.” The section has additional information on “spill prevention” and “Cleanup, Recovery, and Restoration” but lacks Native voices on what, if anything, could be done to mitigate the impacts of a major spill to the “traditional lifeways and spiritual and religious needs of the people.” The report talks about recovering costs from industry if there is a spill. But that doesn’t necessarily fix things when you are talking about a people’s spiritual connection to the land. That voice is missing. Personal stories are powerful. Yes, they can be anecdotal, but what “significant hardship” means is not conveyed well in this analytical form. Comment: This is a significant impact. Why Did this Report Come from the Department of Commerce, Anyway? The report’s executive summary explains on page 3 that the Minnesota Public Utilities Commission ordered the Department of Commerce to prepare the analysis, with assistance from the Minnesota Department of Natural Resources (DNR) and the Minnesota Pollution Control Agency (PCA). Comment: If you use a “commerce” lens, you are more likely to favor commerce over other priorities. This structure seems to make natural resources and pollution considerations take a back seat to commerce.